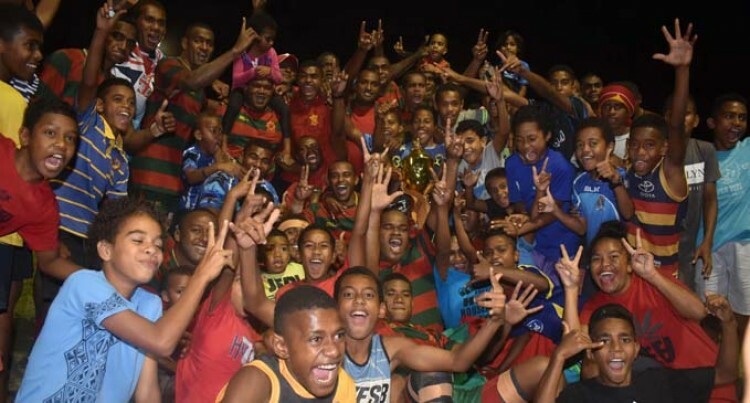 The Vilive Aria captained-Army side walloped Western Marine 27-3 to clinch the Nadi Rugby Union’s Caucaunitoba (Super Premier) Cup at Prince Charles Park in Nadi last Friday night. Watched by a record crowd, drop balls and indiscipline were the order of the night as both teams battled it out. Army fielded veteran players like Jiuta Takubu, Viliame Tui, Isaia Vuki, Marika Tivitivi, and Kenneth Delai. Marine had the services of New Zealand based- Nete Caucau, Orisi Erenavula, Nacanieli Qaqa, Leone Nawai, Leone Vatunitu and Tuilakeba Vatunitu. Army started strongly and scored three unanswered tries as they led 19-3 at half time. In the second spell Army managed a drop goal to first five eighth Maleli Ramoka. Takubu scored a try after he bulldozed his way over the Marine tryline. “The boys stuck to the game plan and this is the first time we see our supporters come out in big numbers,” Aria said.